Laissez le bon temps rouler. 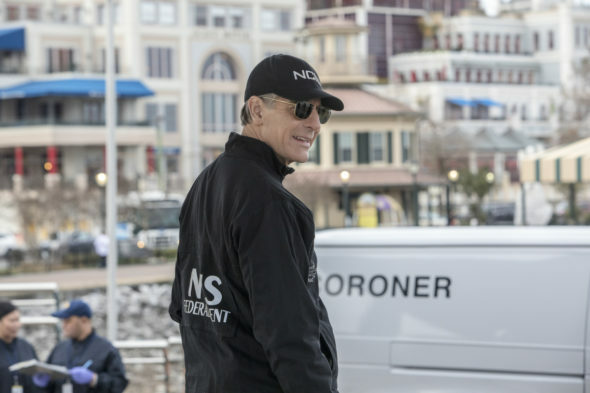 CBS has renewed its NCIS: New Orleans TV show for a fifth season. The Tiffany network will stick around the Big Easy for another round with Special Agent Pride and his team. A CBS crime drama, NCIS: New Orleans stars Scott Bakula, CCH Pounder, Daryl Chill Mitchell, Lucas Black, Rob Kerkovich, Shalita Grant, and Vanessa Ferlito. The military procedural centers on Special Agent Dwayne Pride (Bakula) and his team at the local field office in New Orleans. Together, they investigate criminal cases involving military personnel. The fourth season of NCIS: New Orleans is averaging a 0.97 rating in the 18-49 demographic and 8.87 million viewers. Compared to season three, it is down by 18% and 7%, respectively. When sorted by the demo, it ranks 14th out of the 25 scripted CBS TV shows we’re tracking, but rises to 6th place, in terms of average total audience size. What do you think? Do you like the NCIS: New Orleans TV series? Do you think you’ll return to watch season six on CBS? Did you think it would be cancelled? Let us know, below. Loved this show since the first episode I’m devoted!! Please don’t cancel. Love the show. Yes I will watch it. Great show. Yes it is a great show. I watch it every week as well as re runs. I hope you keep it around for more seasons. I will just loss my mind if you cancelled this show . I have recently become stuck at the house I watch this show over and over again . If it’s not on regular TV,I watch on demand . Over and over . Ease don’t cancel it’s one of the few shows that are decent that I am not affraid if my children and grandchildren walking in and seeing . I just can’t believe you would even think of canceling . I absolutely love this show and all the other NCIS programs. It’s a great cast…the fit well and work well together. I am hopeful that you will bring it back with all the characters. You left it so iffy with Lucas Blacks’ character shot, Scott Bakula’s character saying he’s going away and don’t know when he will return, the police chief killed, Shalita Grant having already left, and the character who got into the fight at the end leaving. I don’t envy your writers. Please leave Scott Bakula on. Love his character the entire Cast love them.please please. Thank you.